Discussion in 'iPhone and iPad Games' started by GammaLateral, Dec 8, 2016. 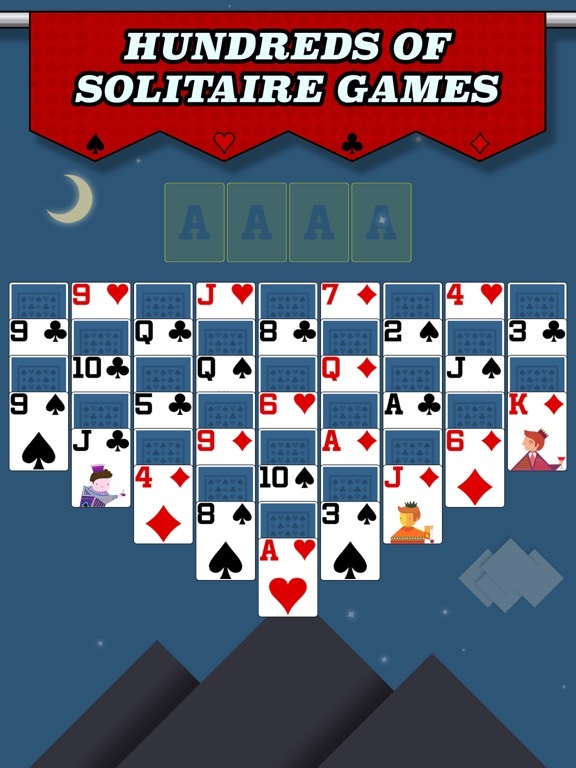 •FEATURES HUNDREDS OF SOLITAIRE GAMES. 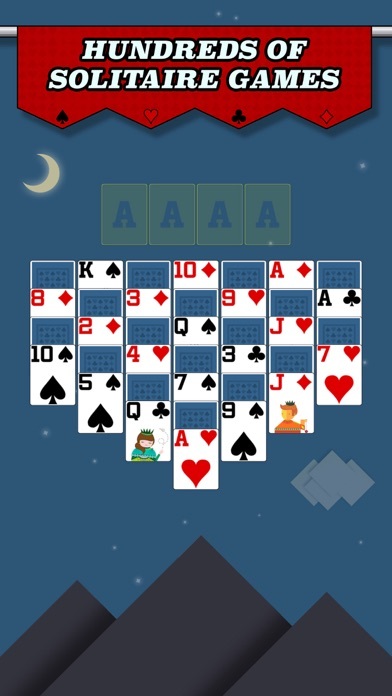 Play all of the classics like Klondike, FreeCell, Spider, and Pyramid. Then play them like never before. 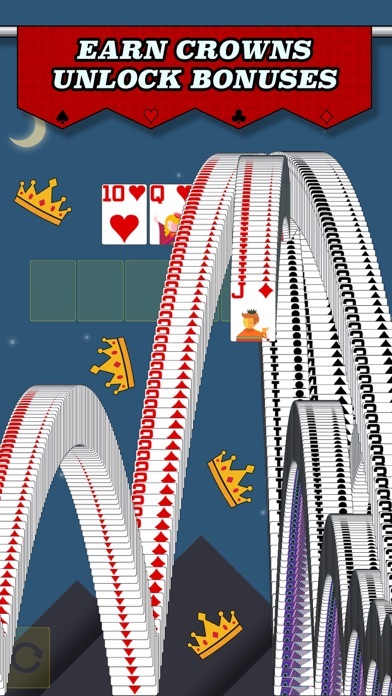 Try Kingsley (Klondike in reverse), Double FreeCell (two decks and six cells), Spiderette (Spider with the layout of Klondike), Anubis (Pyramid with two conjoined towers). •BEAT GAMES. EARN CROWNS. UNLOCK REWARDS. 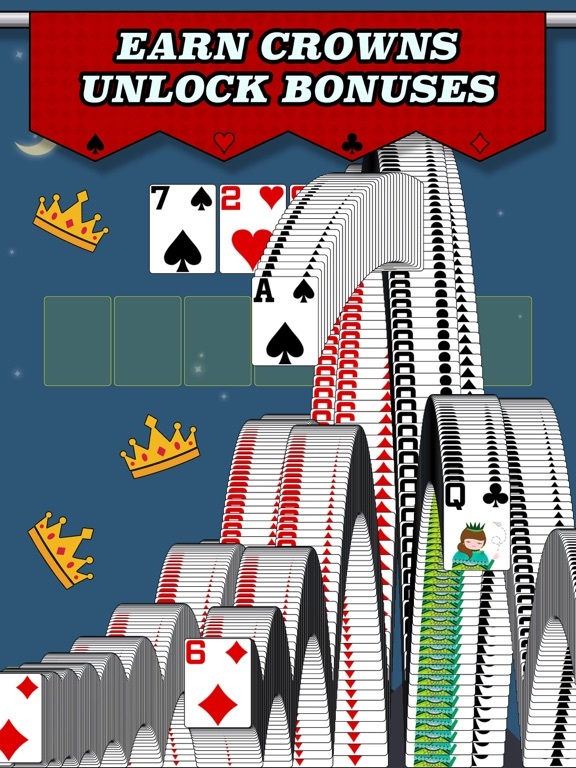 Collect as many crowns as you can and unlock new customizable decks, backgrounds and animations. •MAKE IT UNIQUE TO YOU. Find a style that you love. 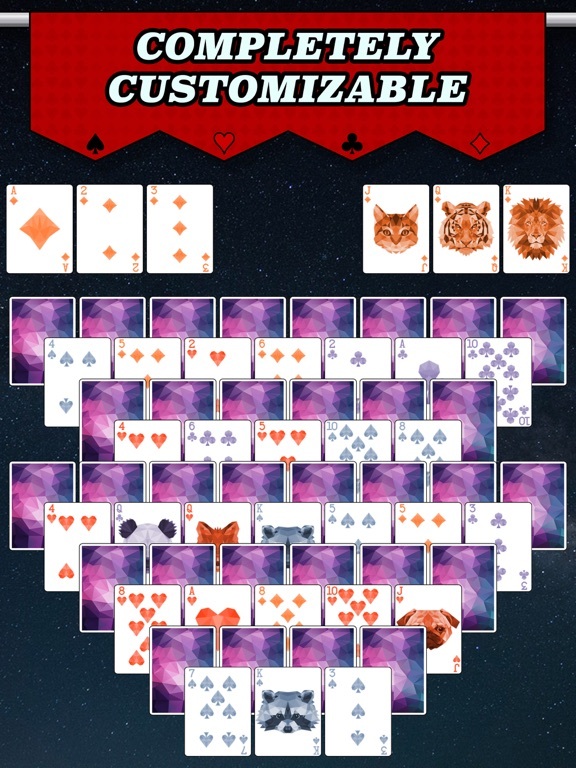 Change the cards' numbers, suits, colors, faces, sizes, and backs to create an amazing combination. 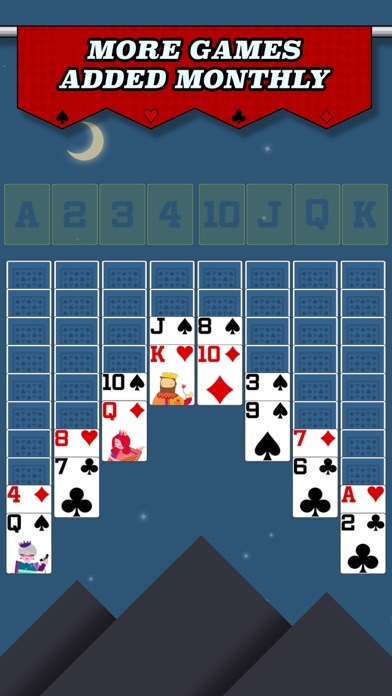 •PLAY THE MOST CHALLENGING FREECELL DEALS. Try to beat the hardest original Microsoft deals. These require the use of all four free cells. Easily select these deals and track your progress in game. •THE GAMES NEVER STOP COMING. 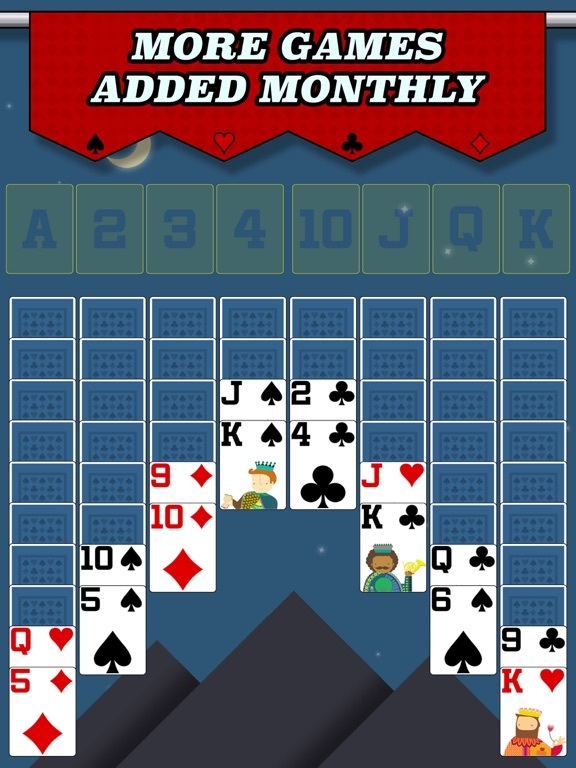 New games added monthly. 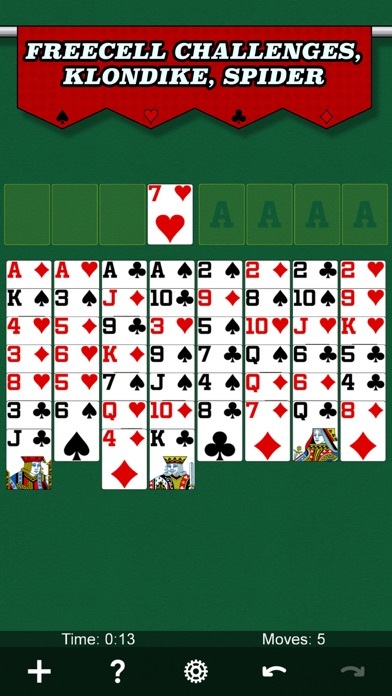 Rediscover Solitaire again and again. You'll always have something new and interesting to play. •LET'S MAKE IT BETTER. 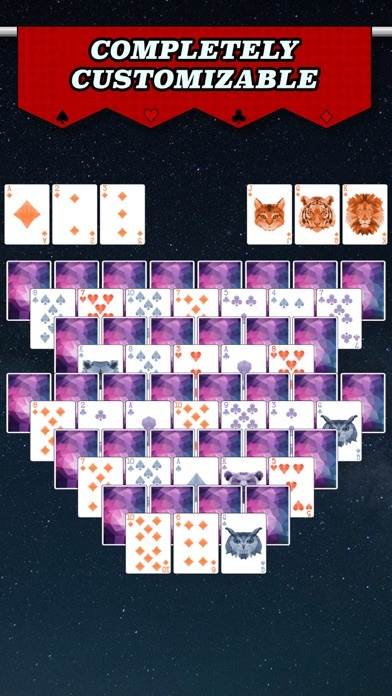 If you have an idea for a Solitaire game or there's a specific type you want, or you have feedback, feel free to email support@gammalateral.com. 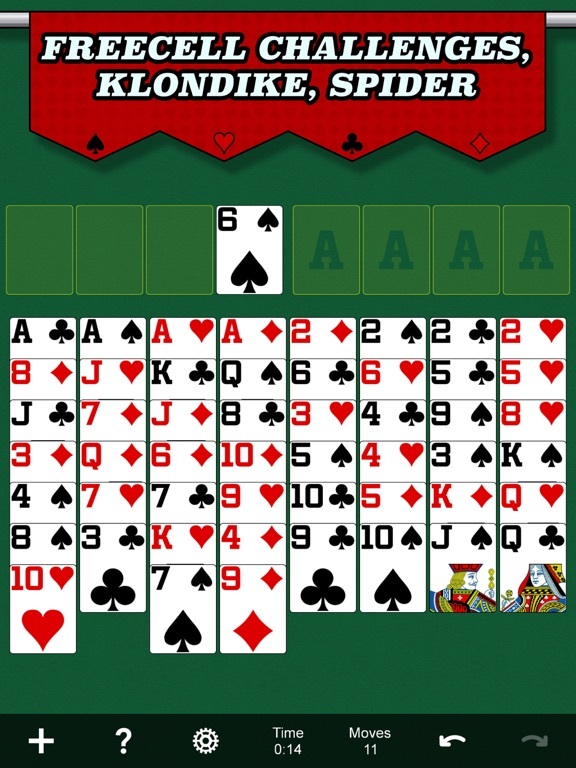 •CURRENT GAMES Accordion Aces Up Aces and Kings Acey and Kingsley Acme Acquaintance Agnes Bernauer Alaska Alternation Alternations Amazons American Canister Anubis Apophis Arizona Australian Baker's Dozen Baker's Game Batsford Beehive Beetle Beleaguered Castle Big Apple Big FreeCell Binary Star Bisley Black Hole Black Widow Block Box Kite Bristol British Canister Brown Recluse Bunker Busy Aces Calculation Canfield Canister Captive Queens Carousel Carpet Casket Castile Castles in Spain Challenge FreeCell Chateau Chinaman Chinese FreeCell Chinese Klondike Cleopatra Clock Colonel Colorado Congress Crescent Cromwell Cruel Demons and Thieves Deuces Dimes Double Canfield Double EastHaven Double FreeCell Double Klondike Double Russian Double Yukon Dutchess EastHaven Eight Off Eighteens Eliminator Empress of Italy Ephemeral FreeCell Fair Maids Flower Garden ForeCell Forty Thieves Forty and Eight Four Leaf Clovers Four Seasons Fourteen Out FreeCell FreeCell 3 Deck FreeCell 4 Deck FreeCell Duplex Frog Gate Gay Gordons German Giza Gloucestershire Gold Mine Golf Golf Rush Grounds for Divorce Harp Huge Spider Huge Spider 1 Suit Huge Spider 2 Suit Hypotenuse Incompatibility Inquisitor Intelligence Interchange Inverted FreeCell Jack's Company Josephine Jumbo Klondike Juvenile Kansas King Albert Kingsley Klondike Carefree Draw 1 Klondike Carefree Draw 3 Klondike Draw 1 Klondike Draw 1, 1 Pass Klondike Draw 1, 3 Pass Klondike Draw 3 Klondike Draw 3, 1 Pass Klondike Draw 3, 3 Pass Klondike Territory La Belle Lucie Lady Jane Lady Palk Laggard Lady Little Billie Little Giant Lucas Lucky Piles Lucky Thirteen Maria Miss Milligan Moving Left Munger Mystique Needle Neptune Nines Osmosis Outback Parliament Patient Pairs Penguin Penta Portuguese Putt Putt Pyramid Pyramid Golf Quadrangle Quadruple Klondike Queenie Red and Black Ripple Fan Royal Rendezvous Russian Scorpion Scorpion 1 Suit Scorpion 2 Suit Sea Towers Selective FreeCell Seven by Five Seven by Four Seven by Seven Seventeens Simplicity Skippy Spider Spider 1 Suit Spider 2 Suits Spiderette Spiderette 1 Suit Spiderette 2 Suit Spidike Squadron Storehouse Street and Alleys Streets Stronghold Suit Triangle Suits Up Sultan Super Challenge FreeCell Super Flower Garden Superior Canfield Tarantula Ten By One Thieves Rush Thieves of Egypt Thirteens Thirty Nine Steps Three Blind Mice Three Demons Three's Company ThreeCell Tournament Tower Trefoil Trevi Garden Tri-Peaks Triangle Trigon Triple Canfield Triple FreeCell Triple Harp Triple Klondike Triple Yukon Twenty Two Cell Unlimited Unusual Variegated Canfield Vineyard Wasp Wasp 1 Suit Wasp 2 Suit Waterloo Wave Motion Westcliff Whitehead Wildflower Will o the Wisp Windmill Yukon Yukon 1 Suit Yukon 2 Suit Zerline AND MANY MORE! ⁃ Fixed some broken games. ⁃ Bear River, Dieppe, Waxing Moon, Lafayette, Preference, Criss Cross, Sir Tommy, Canfield Rush, Alexander the Great and Alexandria. ⁃ Marie Rose, Isabel, Crescent Four, Raglan, Selective Castle, Malmaison, Kingsdown Eights, Triple Interchange, Yukonic Plague, and Double Fourteens. ⁃ Royal Parade, Archway, Signora, Usk, Odessa, Mumbai, Yucone, Little Spider, Double Golf, and Pelmanism. ⁃ Yukon Kings, Heads and Tails, Stages, Doublets, Aunt Mary, Zodiac, Alhambra, Fifteen Rush, Elba, and Siberia.